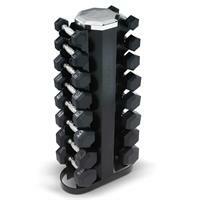 This compact vertical dumbbell rack is designed to hold a run of Hampton DBU, DPU, PH, CBGR Dumbbells. Holds 8 pairs from 2.5 to 25 lbs. The user friendly design allows for easy access. The small footprint makes it ideal for use in limited-space environments. 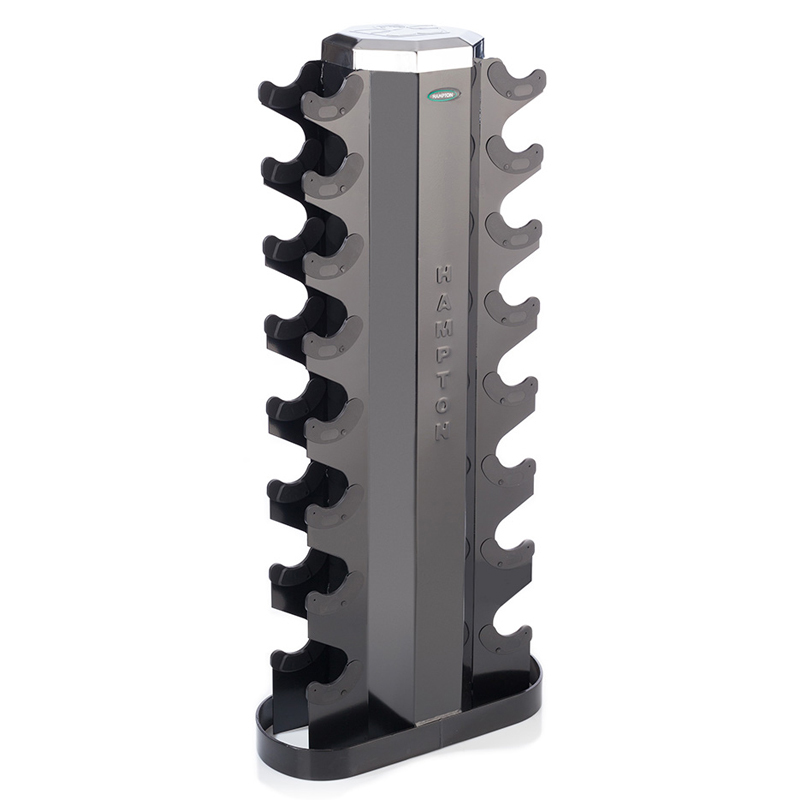 Small footprint makes it ideal for use in limited-space environments.